Zumax Nigeria has dragged FCMB to court over improper management of it account and the diversion of N1 Billion,resulting in what it called monumental fraud. 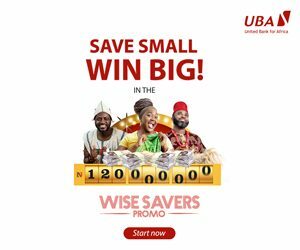 placed the customer in receivership when the customer disputed the bank’s demands that the customer should “repay” over ₦465 million! repeatedly given false testimony to the Central Bank of Nigeria and the EFCC. at the time FCMB placed its customer in receivership over an alleged debt of ₦465 million, FCMB’s own records showed the customer’s debit balance at ₦341 million and not ₦465 million – an exaggeration of over ₦120 million! Even more damningly, this ₦341 million debit balance was arrived at after diversion of the ₦250 million and the over ₦182 million in bogus bank charges and interest. In other words, adjusted for these bogus charges/withdrawals, the customer’s balance was in reality in credit by over ₦91 million at the very time when FCMB placed the customer in receivership for supposedly owing ₦465 million! Worse still, FCMB’s own documents have additionally exposed that within 9 months of instigating the bogus receivership over non-existent debts, FCMB recovered over ₦1 billion of the customer’s funds but, with its lackey of a receiver, concealed this information and the funds from its customer; all the while refusing the customer’s repeated requests for disclosure of the customer’s account statements! In collusion with its lackey receiver, a personage of no less standing than Chief Anthony Idigbe S.A.N., FCMB then continued the receivership for the best part of another 2 years! This fraud was compounded by both parties (FCMB and Chief Idigbe) colluding to form a company named “ZR” with a view to hijacking all of the customer’s Chevron service contracts, despite having already diverted well over ₦1 billion! Having concealed the over ₦1 billion in recoveries, FCMB’s lawyers swore an affidavit in the Federal High Court that only ₦215 million had been recovered or applied to reduce the (bogus and non-existent) debt of ₦465 million. Documents seen by the Lagos State High Court show that on the strength of the above misrepresentations FCMB advised the customer that it was still owing ₦309 million (this after diverting the customer’s ₦250 million and over ₦1 billion during the receivership!) but that out of the “kindness of its heart” the bank would “write down” this non-existent debt to ₦150 million. On the basis of such falsehoods FCMB then deceived the Lagos State High Court into passing a consent judgment stating that its customer was indebted to the bank in the “written-down” sum of ₦150 million! In other words FCMB also perpetrated a fraud on the Lagos State High Court! The reader will by now not be so surprised to learn that quite apart from the on-going civil court case described here, Lagos State Government has brought a separate criminal prosecution against FCMB on 3 separate counts of: (i) theft; (ii) perjury; and (iii) forgery. The charge no. for this criminal prosecution is LCD/168/2011. FCMB, however, is a bank with access to a vast sea of funds (including, as we now see, customers’ funds) so despite being charged in 2011 with these matters, FCMB and its high-priced lawyers have brought all manner of mischievous and increasingly frivolous preliminary objections to frustrate Lagos State Government’s prosecution and so continue to evade arraignment on all the 3 counts. After more than 4 years! The reader may by now be wondering how FCMB’s witness has attempted to explain away all of these outrageous events. For those interested to read for themselves, and for the benefit of the public, we publish here a verbatim transcript of FCMB’s main witness’s cross examination in the Lagos State High Court on the 14th May and 9th June 2015.
when asked why the bank continued its customer’s receivership for 21/2 years despite its own documents showing that the customer’s account was in credit by over ₦124 million within 6 months of receivership, the astounding reply of the witness was, “I have no explanation for this”. The careful reader of the transcript will see that a lot of the wrongdoing took place under the management of FCMB’s predecessor banks, IMB and FinBank. So what is rather surprising is that FCMB has chosen to endorse all of the fraudulent conduct of previous management by adopting the same discredited defences. Indeed, FCMB has so fully “gone native” and adopted and endorsed this fraud, that in a separate and unrelated English court case involving the same customer, FCMB has hired another high-priced lawyer, Mr. Fidelis Oditah Q.C. 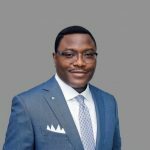 S.A.N., and has tried to persuade the English High Court that the customer is still owing FCMB by reason of the receivership. (In their characteristic way, FCMB quite “forgot” to tell the English High Court that their recovery of over ₦1 billion of the customer’s money means that it is rather FCMB which owes the customer following the receivership!) 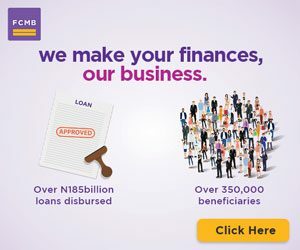 By now the reader will not be surprised to learn that in those English court proceedings, FCMB has already disgraced itself by strenuously denying receiving over U.S.$3 million of its customer’s missing funds, only for its denials to be exposed to the English courts as false when the English court ordered disclosure of FCMB’s correspondent bank account records. The disclosure revealed that, to the last penny, all of the missing funds had been received by FCMB. The English courts have already ordered FCMB to pay into court over £90,000 (ninety thousand pounds sterling), representing legal costs incurred to the customer; this following the bank’s unsuccessful challenge of the English court’s jurisdiction to hear the case. 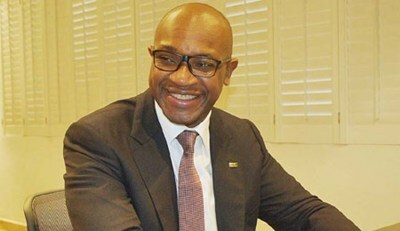 During the course of FCMB’s failed challenge it also emerged that FCMB had already incurred in excess of £270,000 (two hundred and seventy thousand pounds sterling) to its lawyers for their preparation for the failed challenge; bringing the total incurred by FCMB for its frivolous court posturing to over £360,000 (three hundred and sixty thousand pounds sterling) and counting. 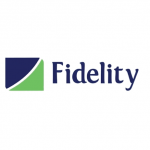 And all of this expense even before FCMB had engaged the high-priced Mr. Fidelis Oditah Q.C. S.A.N.! FCMB evidently does not care that its disgraceful conduct in the English High Court does no favours to law abiding Nigerian banks operating in London. For most people, the whole point of a bank is that it is a place to deposit money for safekeeping. When CBN licenses a bank, the most basic criterion is that the bank is run by people who will not divert and steal customers’ funds. After all, what is the point of a bank if they are no better than thieves? Whether FCMB deserves to be trusted with the Nigerian public’s money is a question only the reader can answer. The verbatim record of the cross examination of FCMB’s witness is reported here for the benefit of the public. The change we seek in high places must begin.